Brenna Hallum of William Mason High School has been recognized as a 2010-2011 Discus Award winner for her achievements in the areas of Academics, Athletics, and Faith. The Discus Awards is a national program that provides recognition and scholarship opportunities to all-around high school students who excel in three of ten key attributes. Brenna is now eligible for 2010-2011 Discus Awards scholarships. Also, Brenna created a multimedia profile highlighting her achievements, which may be viewed in the Discus Awards Winners Gallery at www.DiscusAwards.com/winners. Tate Honaker to run for the Lipscomb Bison! Tate Honaker, son of Theresa and Joe Honaker, has made a verbal commitment to attend Lipscomb University in Nashville, TN. Lipscomb is a Division 1 program in the Atlantic Sun Conference. Tate will be majoring in Engineering while also being a member of the Cross Country and Track & Field teams. 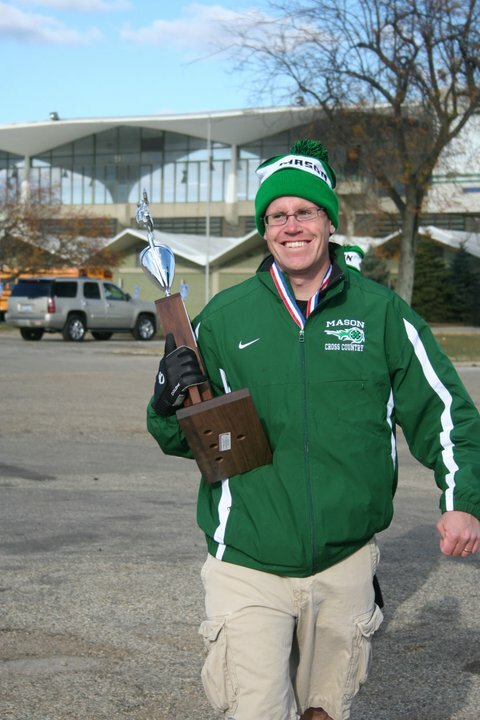 Tate has played a major role in both the XC and Track teams while at Mason High School. He has been able to adjust to different distances running the 800m, 1600m, 4X800, and 4X mile relay (Track) and running the 5K distance in XC. Tate was a member of the 2008 Cross Country team that won the state championship and a member of the 2010 4X800 relay team that got 5th at the OHSAA state meet. Tate earned All-Ohio honors for that race as well as All-Academic Ohio for the past two years at Mason. In addition, Tate has also competed in the Nike Midwest Regional in XC and the New Balance Outdoor Nationals in Track. Coach Tom Rapp stated, “I am thrilled that Tate will continue his academic and athletic career at Lipscomb. It seems to be a perfect fit for him athletically, academically and spiritually. He will be challenged in all of those areas and do well there. While the athletics and academics are top notch, Tate's faith is very important to him and I know this will be a good environment for him to develop in that area as well. I'm sure he'll enjoy some of Nashville's country music there too." Tate has a sister, Sara, that also is a runner at Mason High School. Tate will be competing through the spring for the Mason Men’s Track team and will be signing a national letter of intent in February joining teammates Olivia Bergeson, Matt Kincaid, and Zach Wills at the Mason High School winter signing. The date of the signing will be forthcoming. Matt Kincaid has announced he has verbally committed to continue his running career at the collegiate level with Northern Kentucky University. 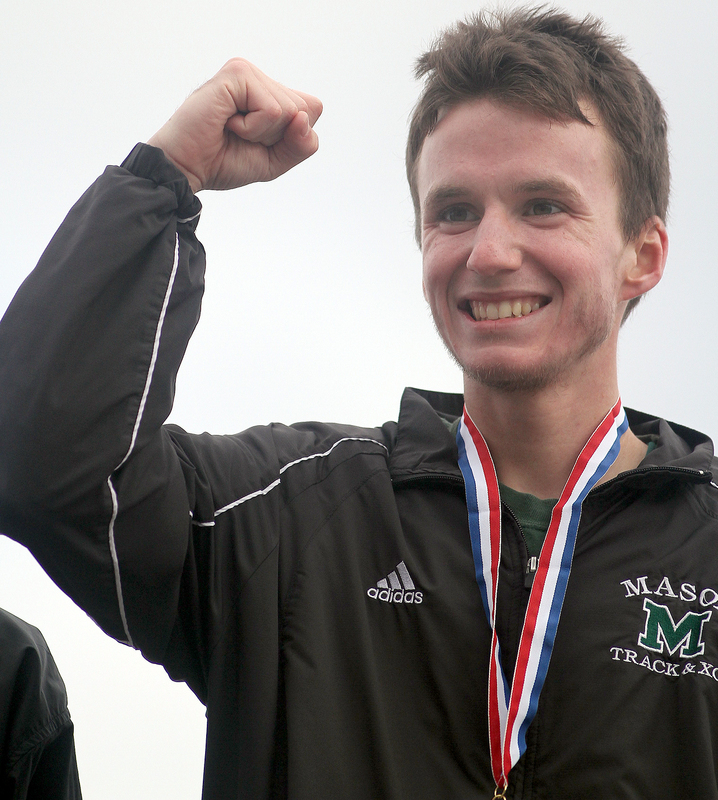 Kincaid has been an integral part of the Mason XC, Track & Field teams since his freshman year. Kincaid not only runs Cross Country he also has run on the Mason Varsity track team 4X800 relay, 1600m and the 3200m. 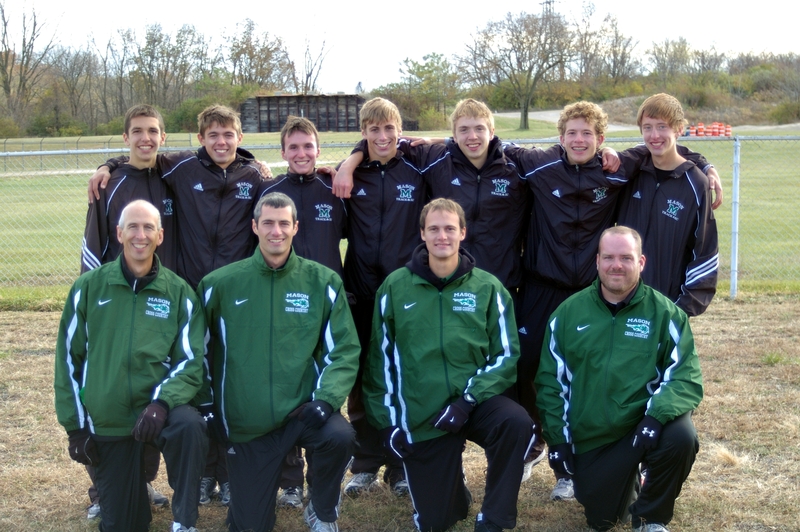 Matt was a member of the 2008 Cross Country State Championship team. Matt had a great 2010 XC season posting a season best time of 15:50.10 and earning a spot as the 2nd fastest Comet in school history. Kincaid earned All-Ohio honors for his 16th place finish at the OHSAA State meet this year. Kincaid joins fellow Mason graduate Matt Larcomb, 2010 graduate, to the NKU Norse program and plans to major in Sports Business. Matt is the son of Scott and Mary Kincaid and has a younger brother, John. John is freshman at Mason and also a Comet runner. Watch Mason's Zach Wills in action this weekend via an internet link at the Nike Cross Nationals. The Nike Midwest Regional was held at Terre Haute Indiana on November 14th and Wills placed 3rd to advance to the national meet. The top 5 individual runners and top 2 teams were automatically chosen for the national meet and the Midwest also had one additional "at-large" team bid. The meet will be held this weekend in Portland Oregon and be broadcast via the internet at 1pm EST. NXN To view the race, click on the "LIVE" tab on the right hand side of the screen. The Footlocker Nationals will be the following week in San Diego California. Wills qualified for that race this weekend by running a 15:08 and placing 8th. The top 10 from runners from 4 regions converge on San Diego in that matchup. Wills will face some of the same competition he faces at Nike with the addition of other top runners from around the country. 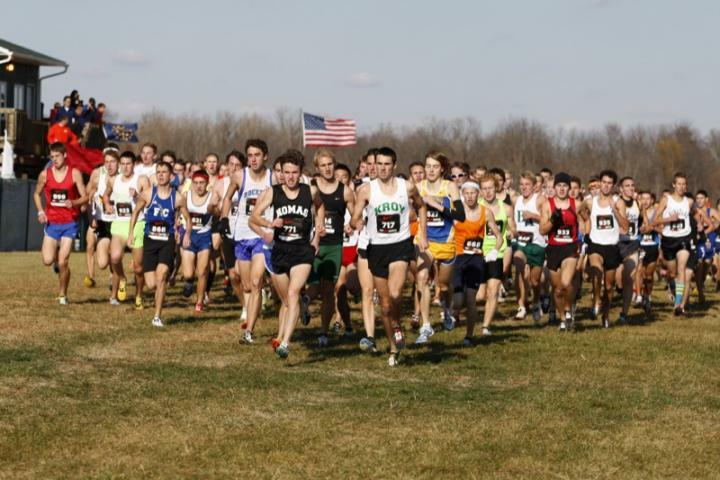 The Footlocker meet is for the top 40 runners that qualify from various regional meets. The Midwest Regional was at Kenosha Wisconsin. Wills is pictured below at the Nike Midwest Regional in the "NoMAS" uniform. Athletes in Ohio are not allowed to wear school issued uniforms at the post-season meets. Several Mason High School boys and girls ran in the Midwest Regional qualifier at Terre Haute. The Mason girls Varsity team placed 7th while a second set of Mason runners placed 1st in the Open division race. The Mason men also had two teams participate at the meet. A recap of that meet can be found below. More news about Mason athletes will be forthcoming. Keep checking back for more info about our runners! Congrats to all our runners on a GREAT 2010 Season! Thanks to everyone for helping make this a great year for the XC teams at Mason. We have a lot to be proud of this year with our JV and Varsity teams both having strong seasons. Several videos of the season were created and are in the process of being coded to be uploaded to the internet. Some or all of the following races will be online at our youtube account or a vimeo account from one of our parents. Please check back here in a few weeks. After deciding to continue competing after the season was over, several Mason runners headed to Terre Haute IN for the Nike Midwest Regionals and competed as MasonTC. Rules are that everyone must attend the same high school to participate and the competition was TOUGH! The Carmel HS girls ran as Lemrac and since we had raced them before we knew the competition would be fierce. Five MasonTC runners entered the Open Race and ran to almost a perfect score with a 16! Runners in that group included: Alyssa Ross, Ashley Calvani, Meredith Touby, Marti Sumrall and Lauren Wood. The girls competing in the Championship race were: Monica Lake, Jessica Harrison, Bridgett McElhenny, Jen Center, Maddie Bahre, and Kaitlyn Cain. The girls posted a 7th place finish and Monica Lake was named to 3rd team all Region. Placing 7th in a field as deep as the Midwest region was a great accomplishment! In the boy’s competition, the Mason TC had their hands full with some of the top rated teams in the country. 12 runners participated including Ryan Mumma, Alex McGary, Kevin Feng, Steve Yates, and Matt Buchko. These 5 competed in the Open Race. The men did very well in the race and gained great experience for next year. The Championship race included Ryan Sanders, Connor Van Blaricom, Tom Clark, Alex Notton, Tate Honaker, Matt Kincaid and Zach Wills. Given the strength of the field, the Mason Comets did well. Zach Wills qualified for the NXN nationals by placing 3rd overall. The race represented the last XC meet that some of the guys will run together in High School. Here are a couple of pictures to enjoy! Meredith Touby is shown in the girls purple uniform and Steve Yates kicks his way to the finish in the black "NOMAS" uniform. Meredith Touby brings it home! It was a great day to be a Comet!!. How exciting it was to watch one of our runners attempt to tie an OHSAA state meet record! Zach Wills became one of only 5 boys in the 82 OHSAA XC year history to earn three XC titles. Zach ran the entire race alone and finished 7 seconds ahead of the eventual runner up. The fight for the team title was one of the closest battles in recent history with the Comets ending up in 8th place. All runners contributed to the success with many having to pass runners in the closing meters to pull ahead as much as possible. Zach was joined on the All-Ohio team by senior Matt Kincaid who also made his 4th appearance at the OH state meet. Matt ran to a personal best 15:50.1 to earn the 16th place finish overall just missing standing on the podium. Kincaid now has the second fastest 5000m Comet time behind Zach Wills. The rest of the Comets came thundering in close to one another. Sophomore Conner Van Blaricom also ran his best time of the season and was the Comets 3rd man for the first time with a run of 16:39. Just behind Conner were teammates Alex Notton, Tate Honaker, Tom Clark and Ryan Sanders. With a team as deep as Mason, these men have worked hard to be named to the State team and their efforts on the day should be applauded. It was great to see all the XC guys painted up and cheering for the Comets. Congratulations to the whole team for helping our 7 runners make it to State! Congrats to Zach on his 3rd XC State Title! What a RACE! - Runner Up! Watching our teams at the State meet made me so proud to be a Mason Comet! Our girls and boys teams both performed well this weekend. Congrats to our girls on their runner up finish! It was an amazing day with all the runners stepping up to run their best on a very cold day. One of our Mason runners ended up with an injury during the race but was able to gut it out and finish. Other runners ran with everything they had to put up personal best times for the season and elevate the team to a second place finish. 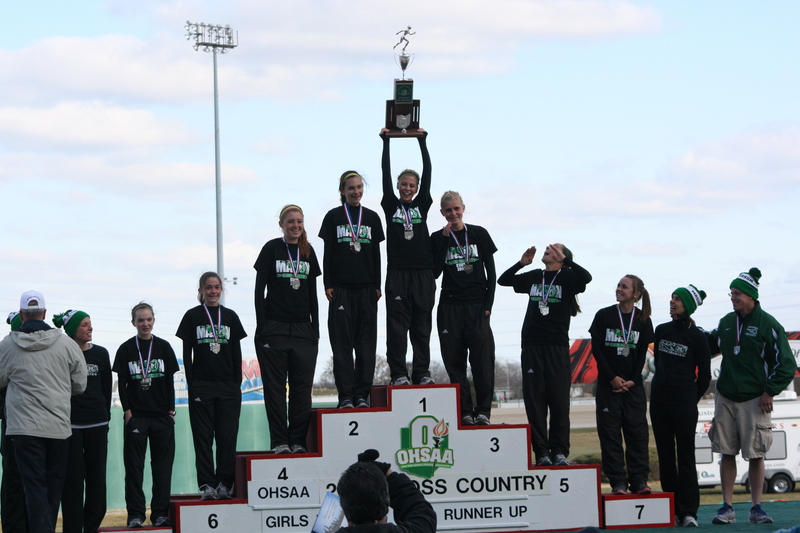 The picture above illustrates how proud and happy Head Coach Chip Dobson was with the girl's efforts. Monica Lake raced her way to All-Ohio honors with a 12th place finish overall and she was followed by Jessica Harrison, posting a fantastic finish in her last XC race for Mason. Following Jessica were Bridgett McElhenny, McKenzie Jensen, Maddie Bahere, Jen Center and Tori Martin. Also on the state team was Katelyn Cain. These 8 girls have worked hard all season to get the chance to run at state and we are so proud of their performance. What was also very touching was the amount of support that the entire team and Comet supporters showed our girls and boys this weekend. We had so much fun at the Tailgate. Pictures will follow. It was great to see the guys and girls all Comet Crazy with their body paint, tshirts and sweatshirts and cheering on the team! Comments from Chip Dobson: "The girls ran their hearts out," said head coach Chip Dobson. "The team came together like no other team I have ever coached. They rallied through adversity and were truly inspiring." Mason High Schools cross country and track standout, senior Zach Wills, announced on Wednesday that he has made a verbal commitment to attend Oklahoma State University in the fall of 2011. Wills, considered by many as one of the most prolific runners in OHSAA history, had four other high profile collegiate running programs on his radar screen. They included Stanford, Oregon, Colorado and Georgetown. "The people, coaching staff and team at Oklahoma State really impressed me," said Wills. "They've had great succes and will continue to be a rising program in the coming years. They are loaded with talent." The Wills family also has relatives living in the vicinity of the school; another factor in Zach's final choice of OSU. Oklahoma State is the defending 2009 NCAA Division I Cross Country National Champion. The Cowboys have the potential to repeat this fall with only one senior on the team. The campus is located in Stillwater, Oklahoma and is a member of the prestigious Big 12 Conference. "I felt very comfortable with everything at Oklahoma State," said Wills. "Oregon was close behind in my decision, but the chemistry at Oklahoma State just felt right for me. Wills, who is also a standout in the classroom, indicated he desires to study Business in Oklahoma State's highly rated Speers School of Business Program. "I am thrilled that Zach has decided to attend Oklahoma State," said Mason head coach Tom Rapp. "He has before him a great opportunity to further his education and also compete at the highest level of the NCAA. They are defending national champions. Their coaching and support staff are second to none. Zach will play a key role in helping the Cowboys continue to be the best in the nation." The Zach Will's resume of accomplishments over the past 4 years is amazing. At the top of the list are his two state titles in cross country and two in track (3200 meter). Also of note he is a two-time recipient of the Gatorade Runner of the Year award and was named as one of Ohio's Cross Country Athletes of the Decade. To learn more about Zach's athletic accomplishments, extra curricular activities and honors start by clicking here. Zach's comments below represent that he is more than just a state champion, All-American and great athlete. "Running has given me a platform to work from and reveal what I am really all about and who and what God is all about. If I am lucky, I know that my running career will only last maybe 10-15 years. How I present myself, the impact I leave on my teammates, and my competitors will hopefully last a lifetime." Zach and his Comet teammates will compete in this Saturday's Regional Championships at Troy, Ohio. They will by vying for a chance to advance to the OHSAA State CC Championships on November 6th at Scioto Downs in Columbus, Ohio.